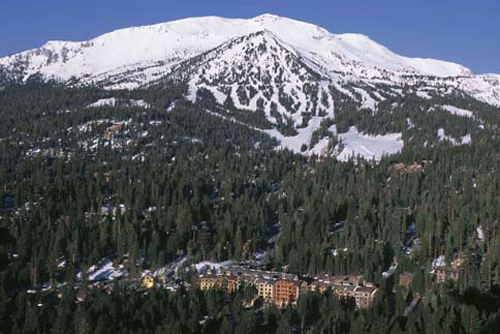 Looking for California ski resorts near Lake Tahoe? Try our Lake Tahoe Ski Resorts page instead! For those who enjoy being able to gamble the evening away after a great day of skiing, the Lake Tahoe area offers numerous casinos along with their plentiful ski slopes. Ranging from the inexpensive Tahoe Biltmore Hotel Casino that was established in 1946, and maintains its original & traditional atmosphere to the upscale Harveys Tahoe Resort Hotel and Casino which is near the Heavenly Valley Gondola and offers casino tables with all the newest and classic games that take the Lake Tahoe gambling experience to the next level. Or if you just prefer to relax after a full day of skiing, and not leave your hotel you can simply open up your computer and play USA slots online from your room. On the other hand you could also take a day off from skiing and drive to Nevada for some fun at a number of nearby casinos. From slots to poker and everything in between, enhance your ski vacation with some gambling fun at Lake Tahoe and Nevada casinos. The last time I was in the Lake Tahoe area I was with a group of friends. The trip was a surprise engagement event. My best friend was planning on proposing to his girlfriend at the top of Mammoth Mountain, our favorite ski resort. He had already done his search online for cubic zirconia rings. He was concerned about whether his girlfriend would like the type of engagement ring he would choose, so he thought that buying one of the less expensive, yet still dazzling cubic zirconia rings were the best option. He found a great site online that offered an incredible variety of at reasonable prices. The proposal was a success, She said yes! We all spent a memorable weekend celebrating with the happy couple. But what was the real surprise for my friend was that his fiancé really loved the cubic zirconia ring that he had picked out. In fact she loved it so much that they also bought their wedding bands at the same elegant cubic zirconia rings store! Alta Sierra (Shirley Meadows) – small Greenhorn/ Bakersfield area day resort, mostly for beginning and intermediate skiers (and anyone who loves trees!). Badger Pass – Yosemite’s winter destination. Advanced skiers and boarders may lose interest quickly, but families and beginners who want to immerse themselves in a variety of winter activities will adore it. Great prices & instructors, too! Bear Valley – lines are short (which is good), the runs are also short (not so good). Less expensive and crowded than most (very good), but old, slow lifts may find you spending as much time in the air as the hill (hmm). Still, a great place to learn and to bring the family. Big Bear Mountain – featuring sister resorts Bear Mountain and Snow Summit, both a boarder’s dream less than two hours from LA and San Diego. Families and traditional skiers may be much less ‘pumped’, especially on weekends when the small hill can be very busy. Buckhorn – no, really: a rope-tow! With great powder comes great responsibility. This authentic, low-cost, off-trail communal club is an unforgettable experience, but not for everyone. Dodge Ridge – thanks to recent improvements, the skiing and boarding gets better every year. An ideal alternative to pricey Tahoe resorts for the Bay Area green and blue, with plenty to offer families who won’t miss cell service and Starbucks. Mammoth Mountain – THE California ski destination. Size and season dwarfs nearly anything else; variety for all skill levels from autumn to spring, and great terrain parks for boarders. Cost & crowds very reasonable but apres-ski somewhat lacking (if that’s your bag). Mount Shasta – ski the volcano! Weather, crowds, and service can be hit-or-miss, but when the stars are aligned (i.e., fresh powder) this will be an excellent ski experience for families. Surprisingly good terrain parks, too! Mountain High (Wrightwood) – as Southern California’s busiest resort, the weekend crowds can be brutal. However, West rocks for boarders, East will satisfy alpine long-run fans, and North provides solid green and blue basics. Mt. Baldy – vintage, funky, family-run, and no nightlife; if you’re looking for the anti-Tahoe, this is the place. Steep with uncertain snowfall, Baldy is highly recommended for experienced day skiers, not so much for extended learning vacations or apres-ski lifestylers. Sierra Summit – mid-size resort that rivals anything at Tahoe for powder, trails and views…and basically everything but crowds, cost, and nightlife (though there’s plenty of fun to be had at this mountain town!). Discover it before everyone else does.